Seven generations of Michel’s branch of the Gonet family have been growing grapes and producing wine in the picturesque Côtes des Blancs village of Avize since 1802. The modern era began in 1973 when Michel oversaw a major update of the winery, and the improvements have continued since his daughter Sophie took control and enlisted the help of star sommelier Marco Pelletier as consultant. The range has become more focused and viticulture taken up a level, while young winemaker Antoine Gomérieux and Pelletier have made great strides in the cellar. Having friends such as Jean-Marc Roulot certainly helps, and the Burgundian legend now sends up barrels for Champagne Michel Gonet to use when maturing the base wines for their Mesnil Grand Cru cuvée. Typical for a domaine based in the heart of the Côtes des Blancs, Gonet’s 40 hectares are primarily Chardonnay (80%) with the balance Pinot Noir. 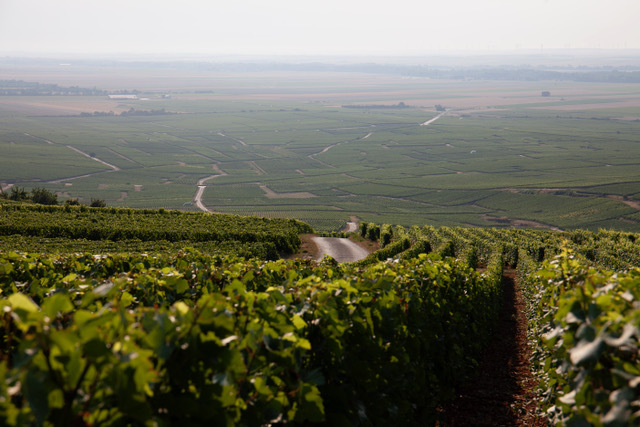 While many of their vineyards are around Mesnil-sur-Oger, they also own Chardonnay plantings around Vindey in the Côte de Sézanne and on the chalk hill of Montgueux in the Aube. These vineyards are used to produce two vintage Blanc des Blancs cuvées, the first a complex Extra Brut (4 g/l dosage) blend called ‘3 Terroirs’ that spends 6 years ageing on lees, and the beautiful zero dosage Mesnil Grand Cru, made from a single parcel called ‘Les Hautes Mottes’ and aged for five years on lees. 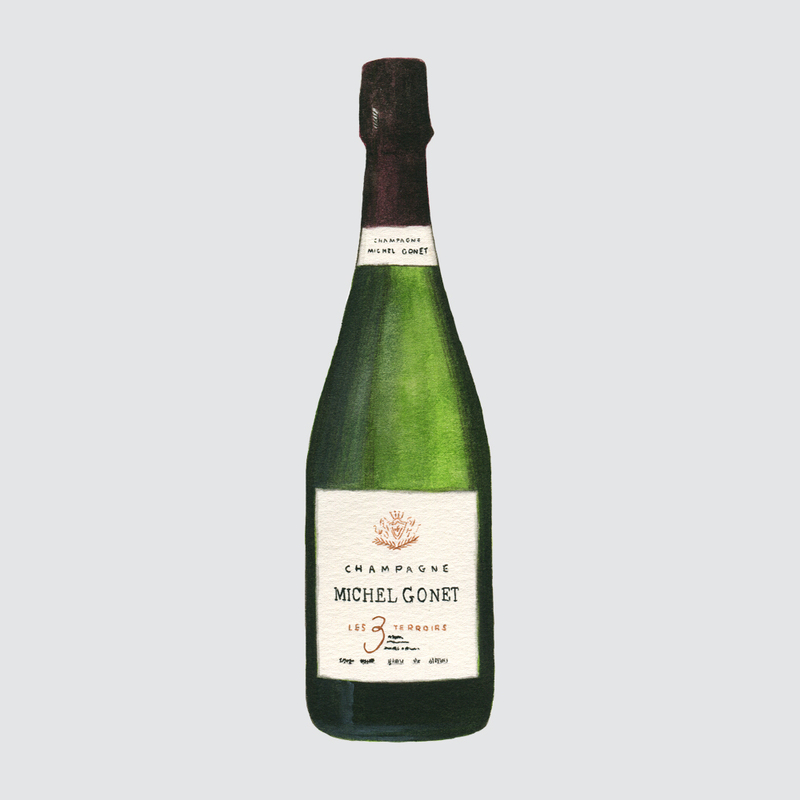 These elegant grower Champagnes have a combination of weight, texture and verve that betters many much more expensive Grand Marques.